Cash, Cheque, Visa , Interac and MasterCard accepted. 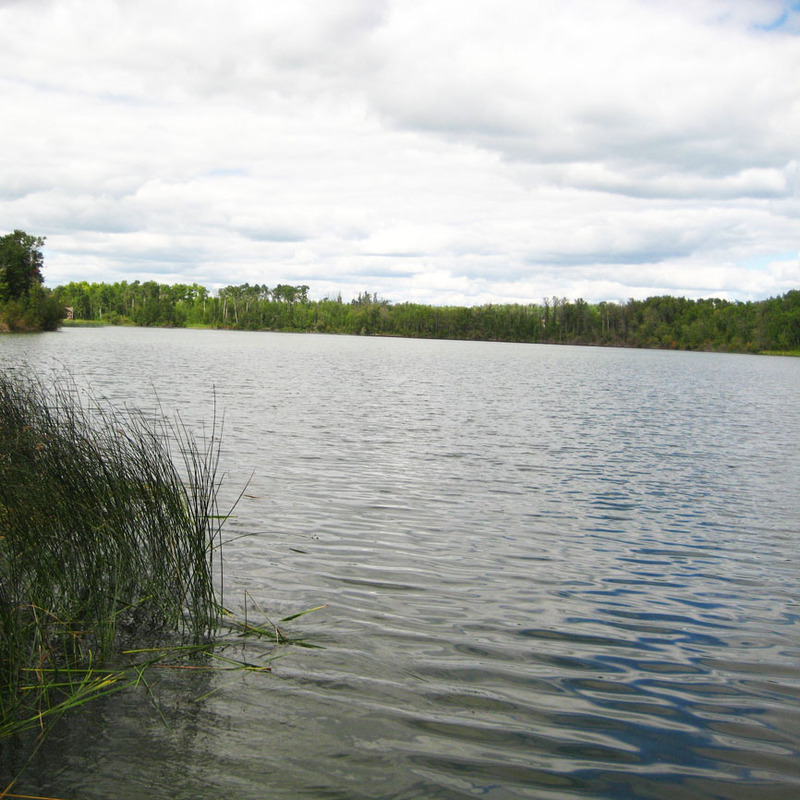 The Park is located 5 km east of Glaslyn on #3 highway. 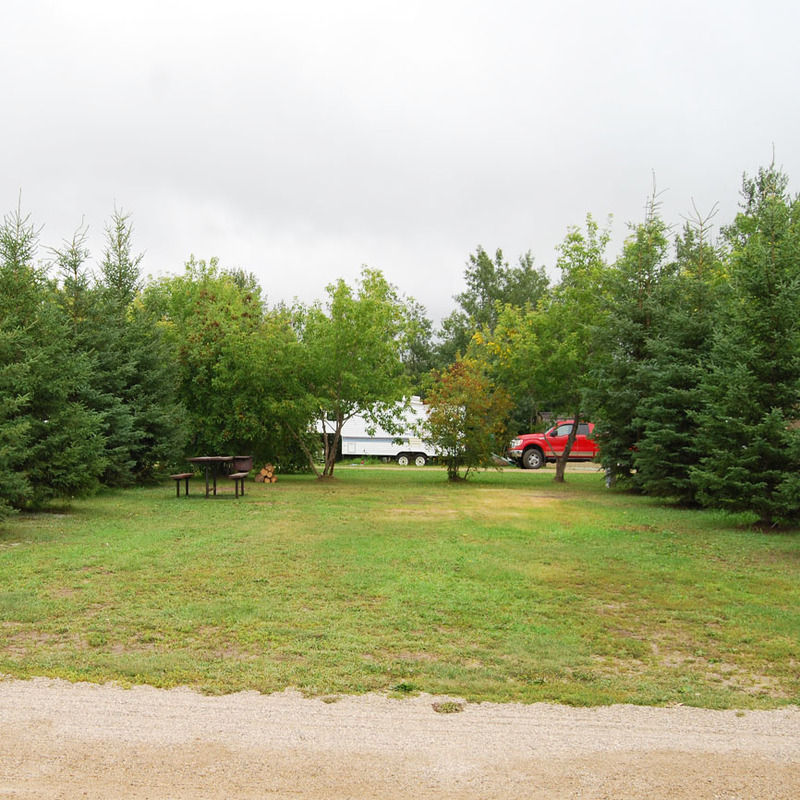 The Park is situated on the shore of Little Loon Lake and has a definite rural feel as it is surrounded by grain and cattle farmers. Well maintained best describes the grounds. Natural and planted trees and flowers adds to the beauty. The Park is large enough to accommodate activities for the whole family, yet small enough you can walk any where you want to go. If relaxation is what you desire, this is where you want to be! 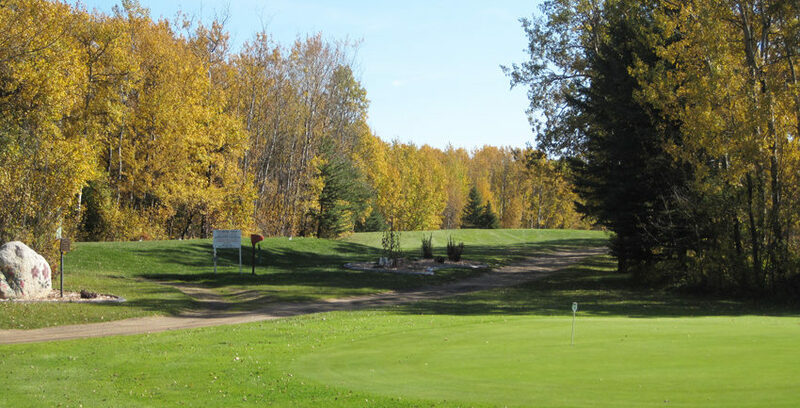 The Village of Glaslyn is only a short distance away with many conveniences. There are 2 grocery stores, hardware store, tire shop, garage, liquor board and gift shop, 2 restaurants, insurance agency, bowling alley, 2 halls, skating arena, school, 2 service fuel stations, 1 card lock, 2 banking institutes and a library. The Regional Park was established in the 1960's and was done so by local volunteers. 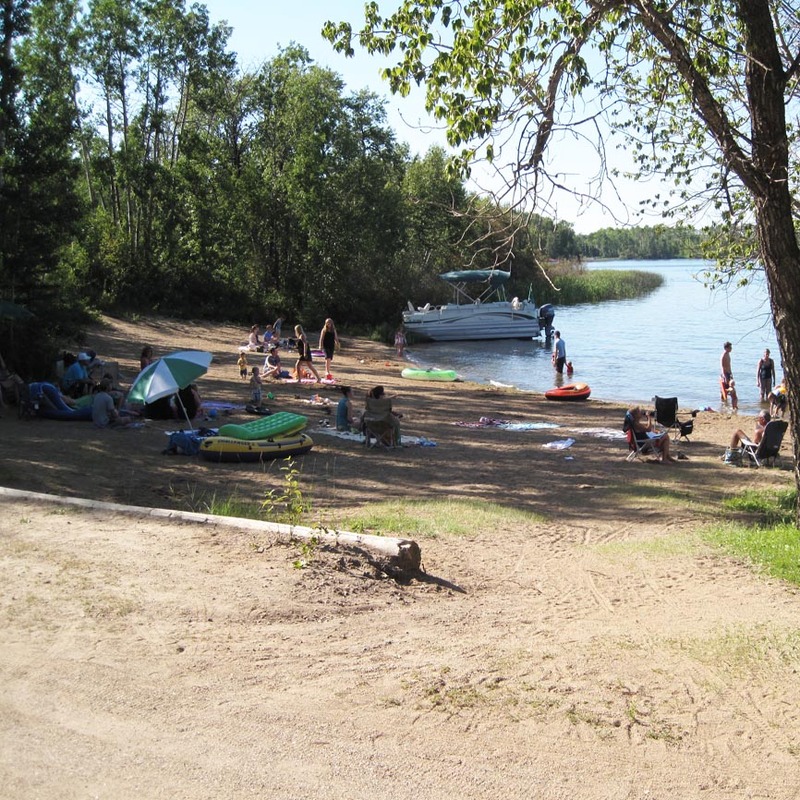 Trees, stumps and sand from along the lake were hauled out to build a beach and swimming hole. 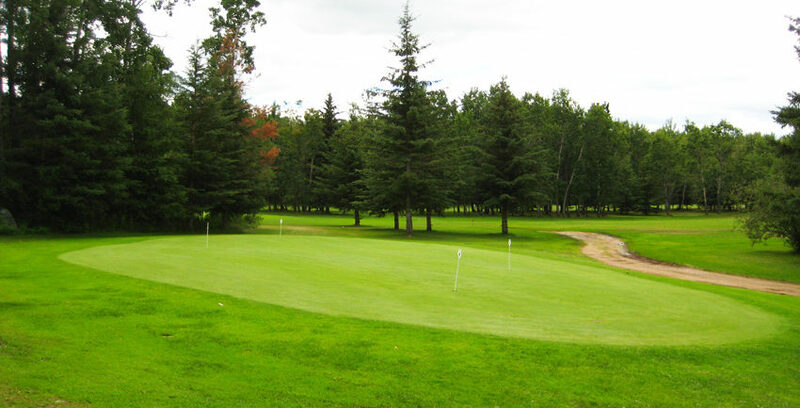 The original golf course was built by breaking the brush and working it down to eventually having grass. 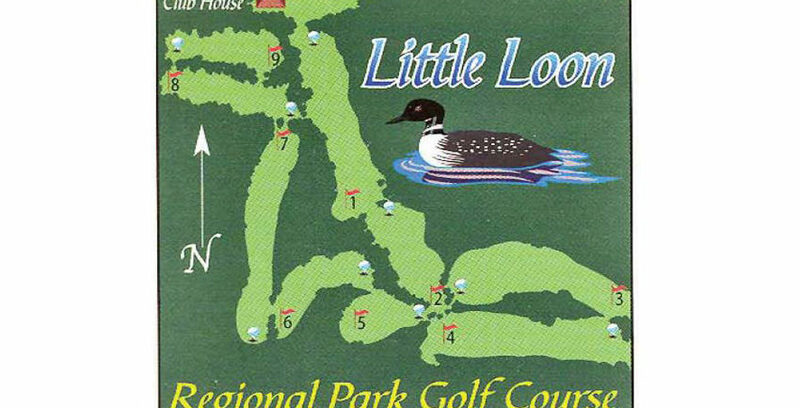 The golf course had its grand opening in 1970. The clubhouse was created from renovating an old one room Heritage School building. All our services are wheelchair acceptable. Dogs must be on leash at all times. Please pickup after your pet! There are 34 sites with water and power, 28 non serviced sites and 57 lease sites. All sites have a picnic table and camp stove. There are trees in all campsites. 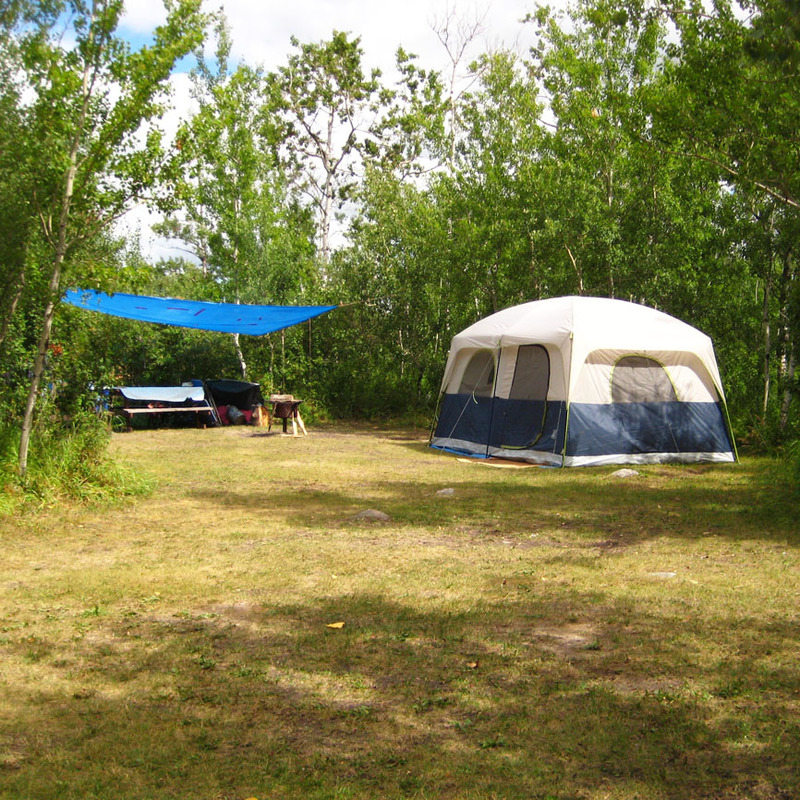 Our campsites are situated and large enough to accommodate 20 or more RV’s in one area for large gatherings. There is also plenty of room to set up a large tent for those functions if you desire. 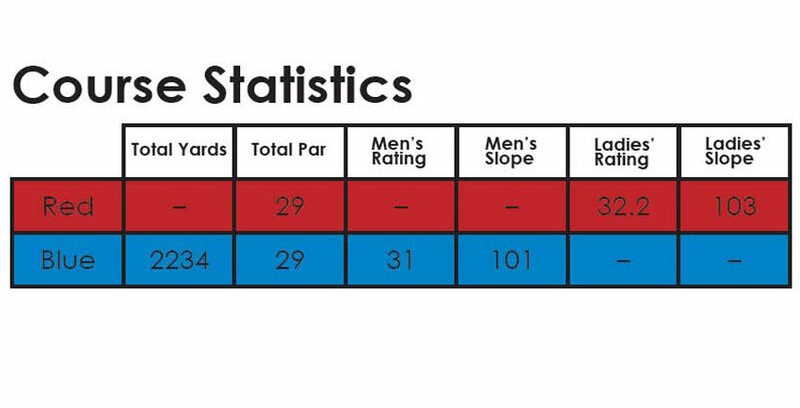 The park has one of the greatest golf courses in the area. 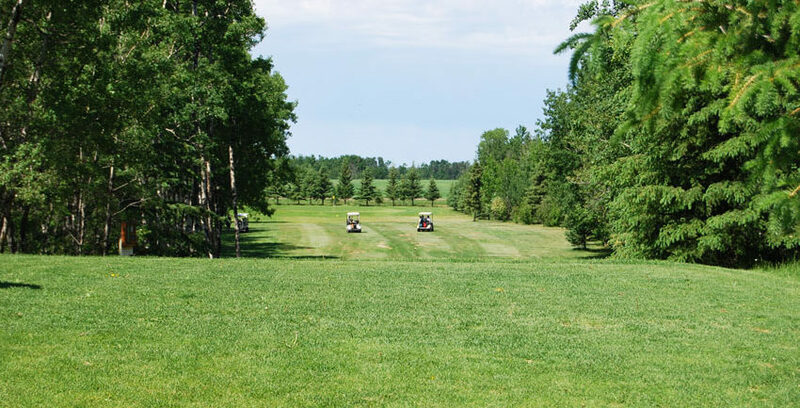 The nine hole, par 33 grass green course is well groomed with watered fairways and covers over 2000 yards. 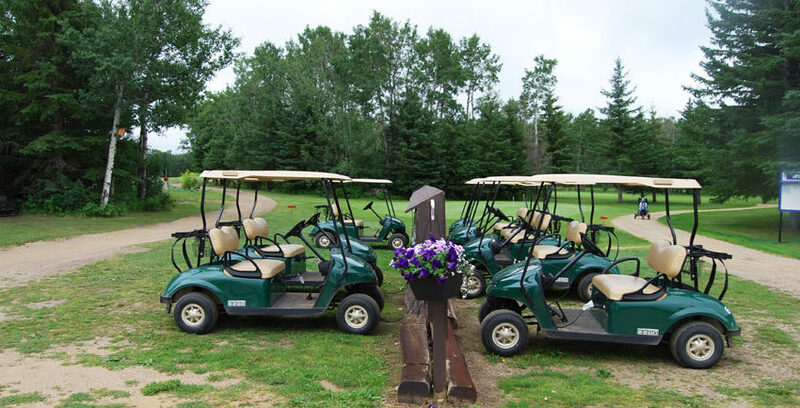 Golf carts and clubs are available for rent. 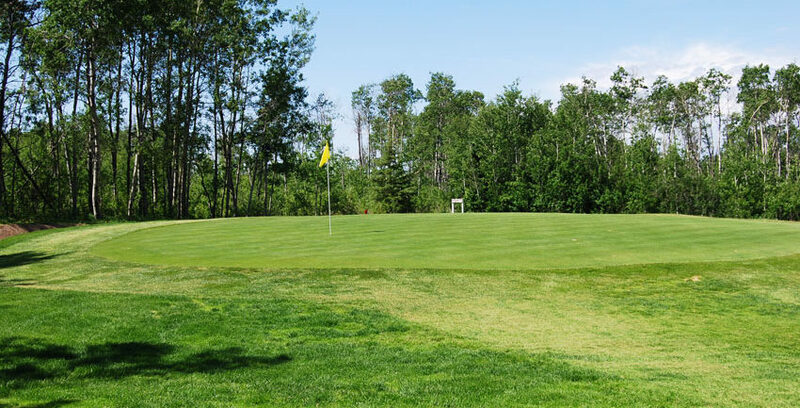 For those who wish, there is a putting green to practice your shots before going out for your game. The golf club hosts seven tournaments throughout the summer at very reasonable rates with fantastic prizes. Monday evening is mix or couples night and Wednesday evening is Men’s night. Our beach is well maintained but is unsupervised. There are trees to provide some shade on those hot days. Buoys are on the water to designate the swim area. 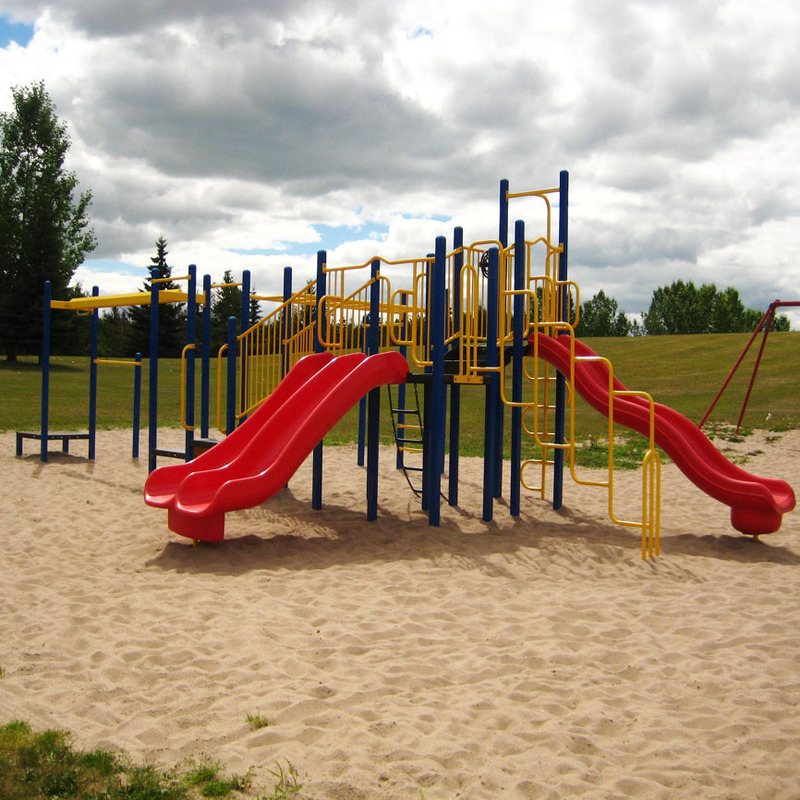 We have recently installed a new playground which consists of slides, beach volleyball, teeter totters and a glide ride. 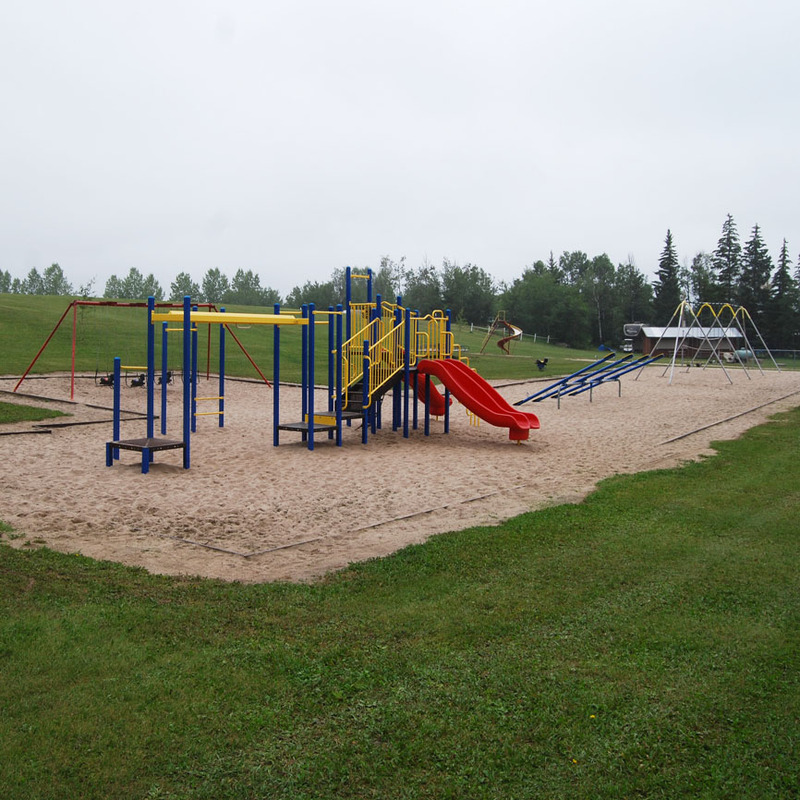 The area is confined with a chain link fence along the roadside for your children’s safety and has park benches for Mom and Dad’s comfort. Free horse shoe pits are in the same vicinity for your enjoyment. 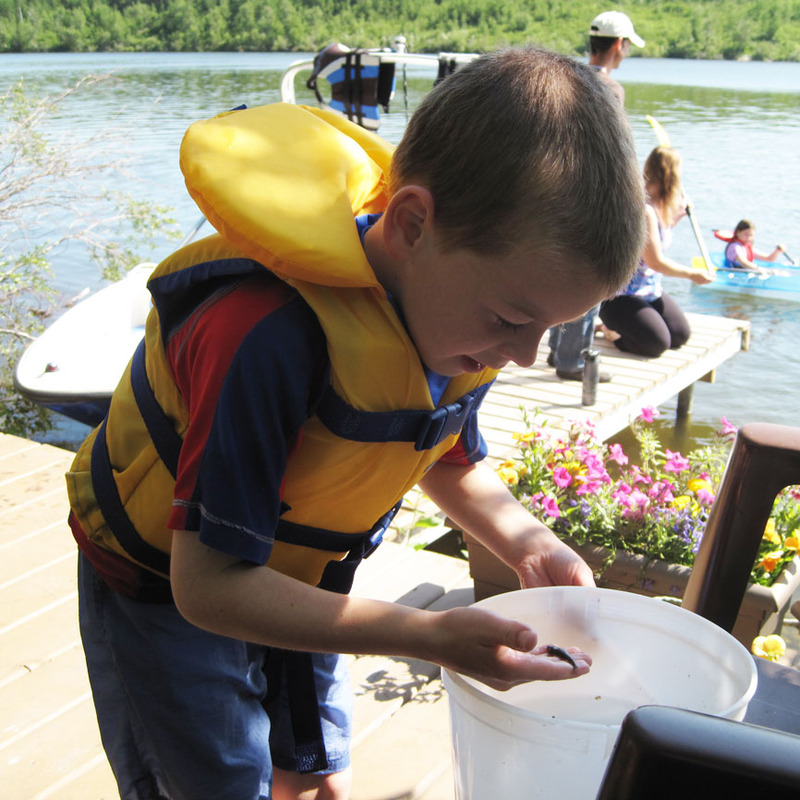 Fishing should be at its finest this summer as the lake was restocked with pickerel in 2012. 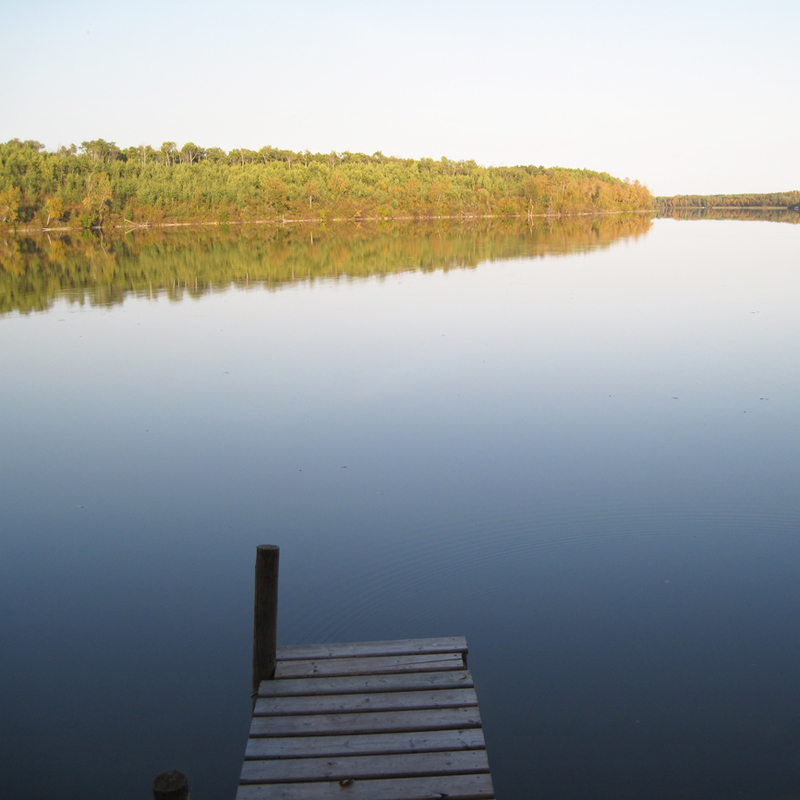 Because the lake is on a smaller scale it is very seldom the waves get too high to venture out on the water. 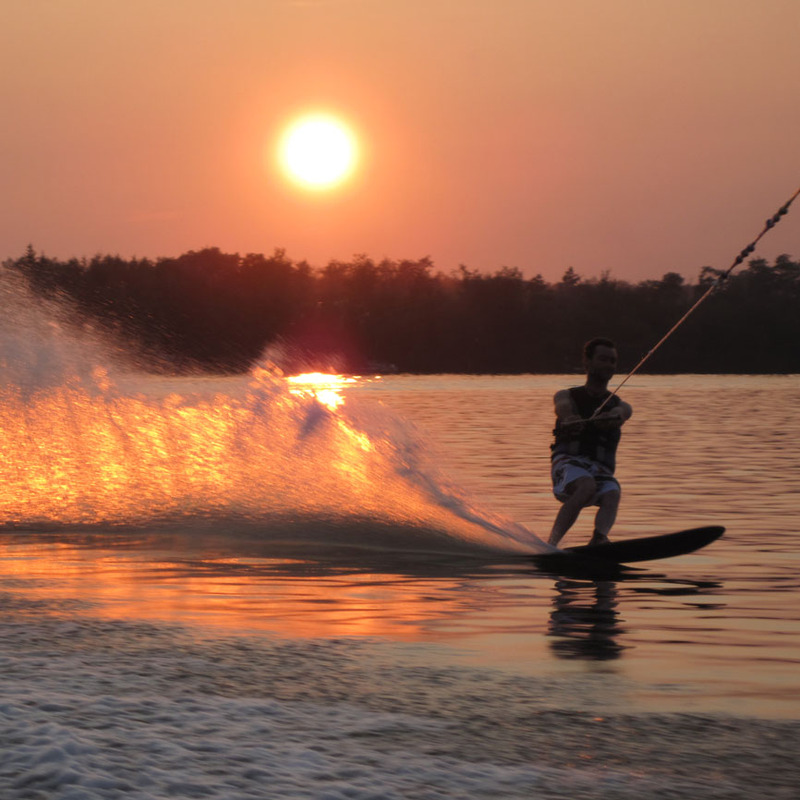 On a hot day there is nothing better than taking the family out to do some water sports. As the park is located in the country there are many beautiful side trails for biking, hiking and taking in nature’s beauty. 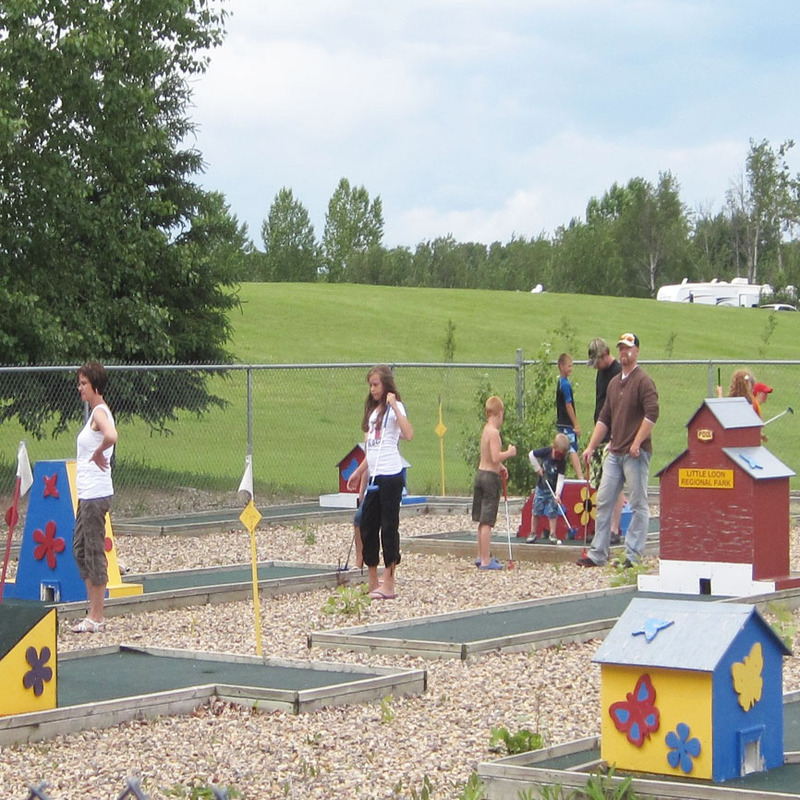 There is an 18 hole mini golf course which is a challenge for any age. Come to our Canada Day Celebration that includes fireworks, a small parade and lots of fun activities to celebrate Canada Day! 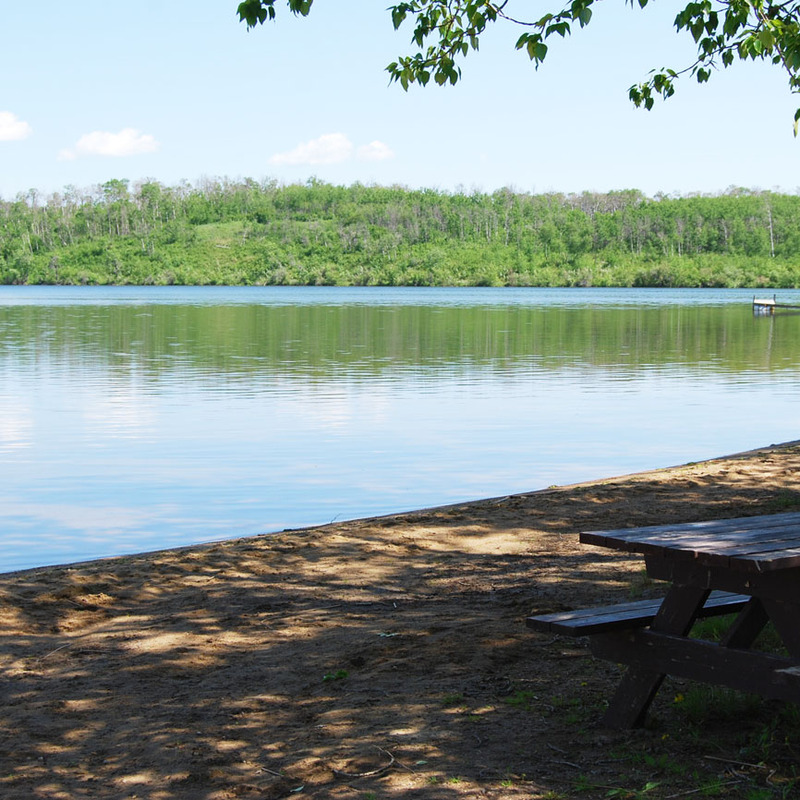 Reservations for 2019 can be made starting March 1st after 9:00 a.m. A $15.00 reservation fee and the cost of first night of camping is paid upfront when making reservation (non refundable). Reservations are taken by phone at (306) 342-7750 or online by clicking the link below. The reservation fee of $15.00 and first night of camping is non-refundable.